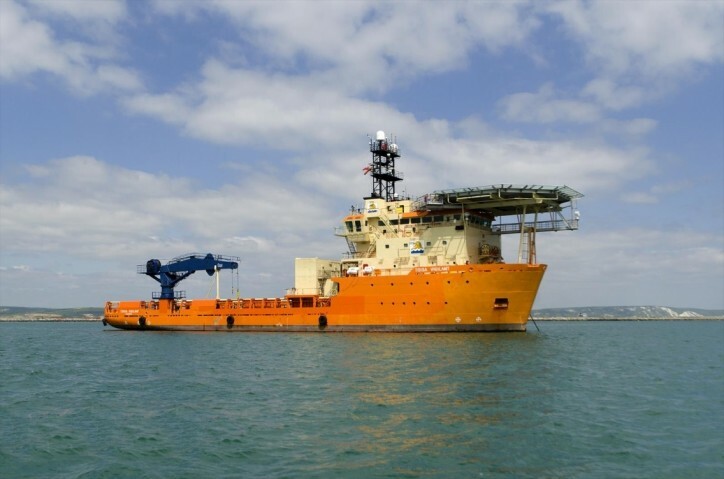 Leading offshore geotechnical engineering and drilling company Geoquip Marine has confirmed the addition of a DP2 Multi-Purpose Offshore Support vessel to its fleet. The Geoquip Saentis is currently being fitted with the latest version of Geoquip’s GMR600 fully heave-compensated offshore geotechnical drilling rig. The vessel has accommodation and workspaces for 55 crew members. At 80m length and 18m beam she provides a stable platform for offshore geotechnical operations, allowing seabed PCPT equipment and ROV to be mobilised alongside the GMR600. The GMR600 is the product of over 30 years’ experience of designing, building and operation and is suitable for conducting drilling and sampling in all soil conditions up to 800 m (water depth plus borehole depth) using steel API drill pipe. It has a Dando 1000 top drive power swivel capable of handling 6 ⅝” API drill string. An 8 to 20t seabed frame is used to clamp the drill string to enable downhole sampling and in situ testing to be performed using a suite of downhole tools. “The acquisition of the Geoquip Saentis is a significant milestone in the development of the business and provides a great enhancement to the range of services we provide,” comments Chief Executive Officer Stewart Higginson. “The name Saentis is derived from the highest peak in the Appenzell Alps, being the north-eastern mountain range of Switzerland nearby our offices in St Gallen and we see this acquisition as the latest major peak we have scaled as a business.